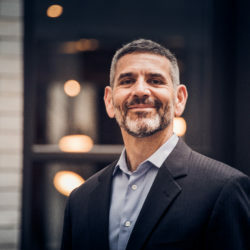 John Davidoff is the founder and Chief Mission-Driver of Davidoff Mission-Driven Business Strategy. With 35 years of experience working with local, national and international nonprofits, philanthropic foundations, associations, municipalities, and business organizations, John Davidoff is recognized as a leader in strategic planning, marketing and communications, thought leadership, partnership marketing, sponsorship, and business development. He is the architect of Davidoff’s proprietary Mission-Driven Strategy & Marketing methodology. Prior to founding Davidoff Strategy in 2005, John held executive management positions with DDB Worldwide, Omnicom, General Growth Properties, and Entertainment Marketing, Inc. John’s broad client experience includes work in social causes, education, healthcare, the environment, public transportation, and arts. John is a founding board member and secretary of the Wright Foundation for the Realization of Human Potential. He is a graduate of the Park School of Communications at Ithaca College in New York and recently completed his Master’s in Transformational Leadership and Coaching at the Wright Graduate University for the Realization of Human Potential. He began his doctoral studies in February 2018. John lives in Evanston with business partner and wife Jacki, and their two sons.